This burner is specially created to make a dramatic waterfall effect of incense vapor rather than typical incense holders that spiral upwards. A beautiful, relaxing effect of a smoke waterfall trickling down a mountain is produced when using this particular type of burner. Each incense back flow cone lasts around 20 minutes. 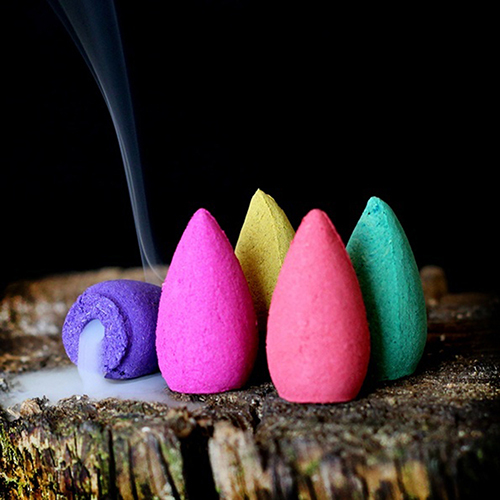 **This Product Compliments Our Mixed Aroma Backflow Incense Cone Pack! ==> Click Here To Get Yours Now.